Browsing by overabundant deer modifies plant communities and alters forest regeneration, which can indirectly impact associated insect fauna. We tested the hypothesis that the response of insect communities to changes in deer abundance should depend on the strength of their association with plants, which we considered as a key functional trait. 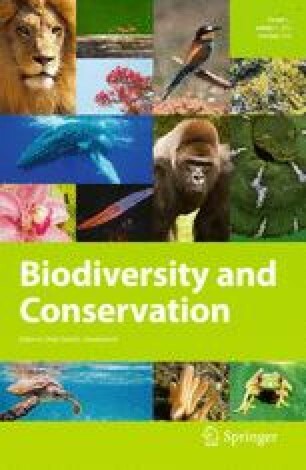 Seven years after a deer density control experiment was established in partly harvested forests on Anticosti Island (Quebec, Canada), we evaluated the effects of reducing white-tailed deer (Odocoileus virginianus) density from >20 down to 15, 7.5 and 0 deer km−2, on four insect taxa representing different levels of dependence on plants. As predicted by our hypothesis, the sensitivity of insect taxa to deer density decreased along a gradient representing their degree of association with plants. Carabidae remained unaffected, while Apoidea and Syrphidae communities differed between uncontrolled and reduced deer densities, but not as clearly as for Lepidoptera. As expected, insect communities responded faster in harvested than in forested areas because vegetation changes more rapidly in open habitats. For most insect taxa, dominant species were the most strongly affected by deer density reduction, but it was clearly stronger for predator taxa (Syrphidae and Carabidae). A fast recovery of rare species was observed for macro Lepidoptera. Reducing deer density down to 15 deer km−2 is sufficient to restore insect diversity on Anticosti Island, but it is unlikely to be efficient in all situations, particularly when competing tree regeneration is firmly established. Our research was financed by the Natural Sciences and Engineering Research Council of Canada (NSERC), Produits forestiers Anticosti Inc. (PFA), Natural Resources Canada (NRCan) and Université Laval. We would like to thank M. Poulin, S. Pellerin and M. Bachand for vegetation data; N. Giasson for help in field work and Y. Paiement for help in laboratory work. We also thank Y. Dubuc for technical assistance and G. Pelletier for his taxonomic expertise, both from NRCan and S. de Bellefeuille from the NSERC-Produits forestiers Anticosti Industrial Research Chair for logistical assistance. We are grateful to Y. Bousquet from the Eastern Cereal and Oilseed Research Center in Ottawa for confirming identification of Carabidae and G. Daigle of the Département de Mathématiques et de Statistiques at Université Laval and E. Azeria from NRCan for statistical advice. We also thank I. Lamarre and P. Cheers from NRCan for editing the manuscript.